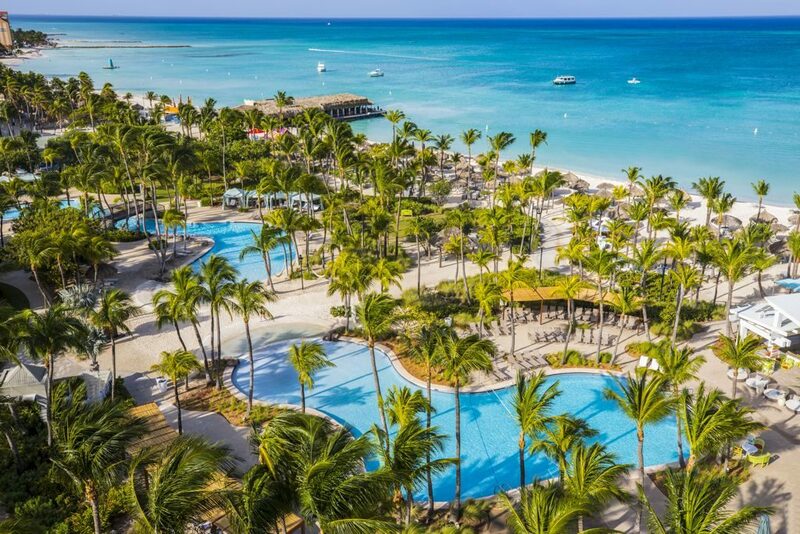 Aruba’s most-loved beach-front hotel, Hilton Aruba Caribbean Resort & Casino, was recognized with the coveted “2018 Hotel of the Year” award at Hilton’s Americas Leadership Conference hosted in Orlando, Florida. 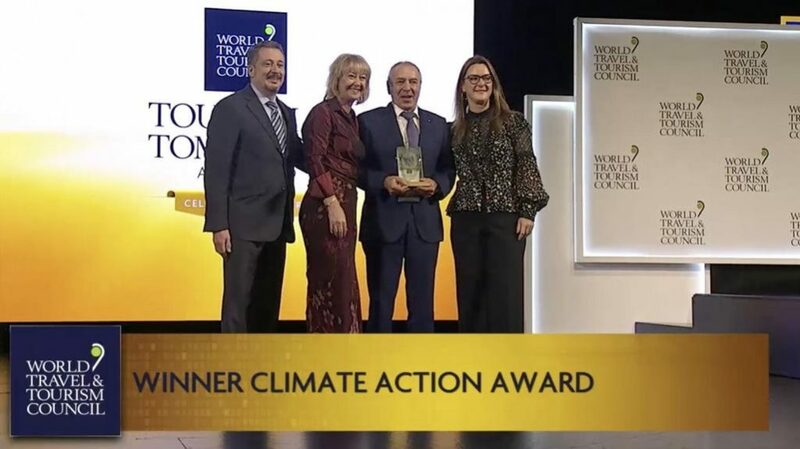 The hotel took home a first place ranking among the Americas portfolio of full-service managed hotels ranging in size from 351 to 750 rooms. 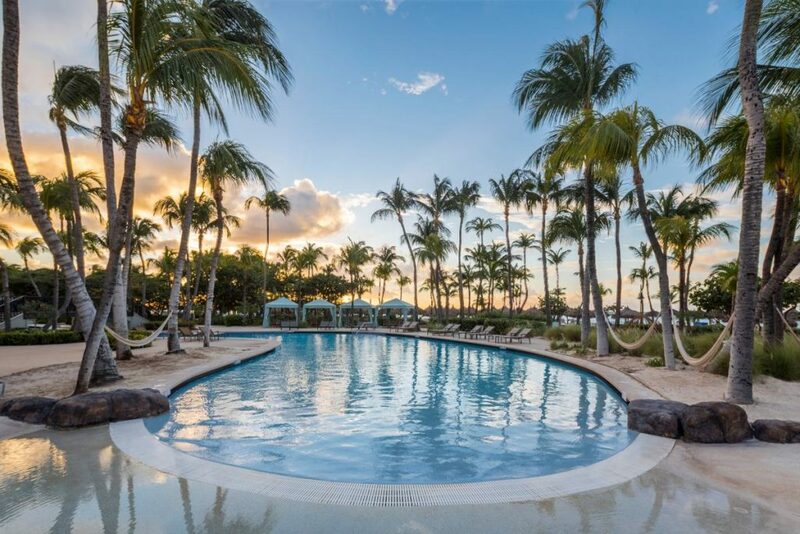 During the conference, where annual excellence awards are presented to resorts and hotels that excel in performance and hospitality, Hilton Aruba also received the area’s 2018 Most Improved Profitability award, and a special recognition for landing the #1 RevPAR rating in the full-service category. Following the event, the hotel team had further reason to celebrate when learning that their Director of Revenue, Jennifer Bolstad, also landed the Circle of Excellence Award in Revenue for hotels with less than 500 rooms. 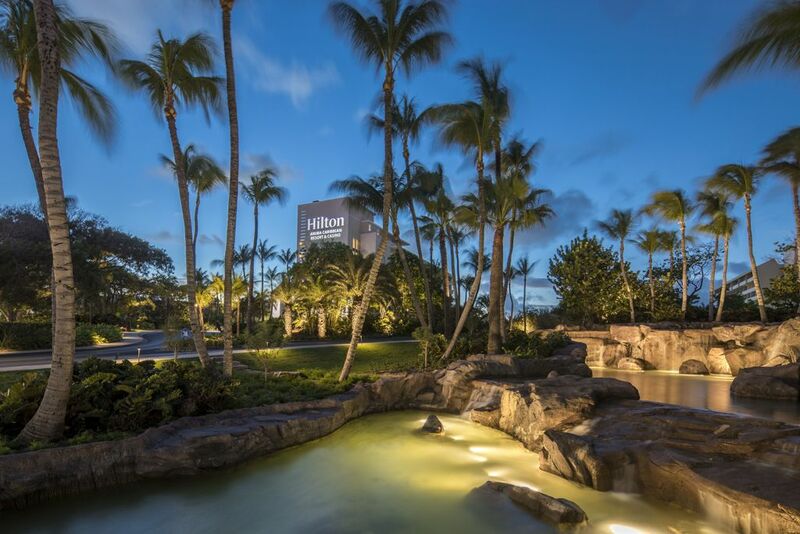 To celebrate the accolades, Hilton Aruba Caribbean Resort & Casino surprised team members with a special welcome arrangement at the team member entrance, where they received a warm welcome by managers lined up on a blue carpet, live music, a festive breakfast buffet, snacks and pastries. All team members were also invited for the monthly recognition event where team members, supervisors, and managers of the month are announced. The recognition event was made even more special when a brass band appeared in the lobby followed by Carnival dancers in extravagant costumes, guiding team members to the ballroom, in appreciation of the colossal “Hotel of the Year” award. Festivities continued in the Morris Lapidus Grand Ballroom over tasty snacks, refreshments, certificates, and tributes to team member winners. The event concluded with a heartfelt thank you note from Hotel Manager, Jacques Monteil. 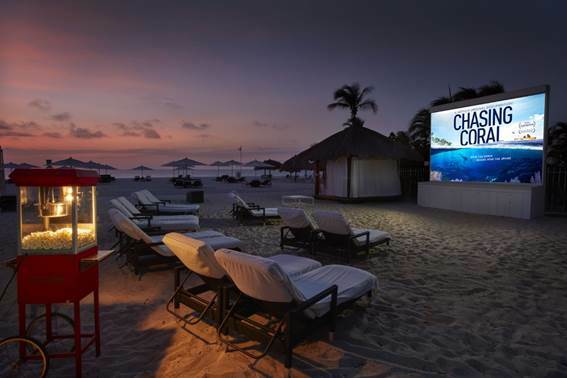 Discover more on Hilton Aruba Caribbean Resort & Casino!